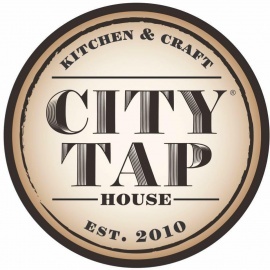 City Tap House® Boston offers 60 craft brews on draft (3 on nitro) and 40 by the bottle, from local breweries and our favorites from around the world. 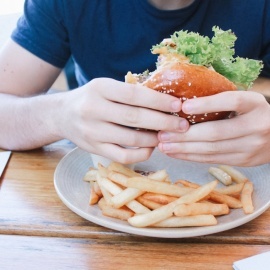 With our authentic, brick oven pizzas, hand-made burgers, addictive wings and hushpuppies, we're working to elevate American pub fare one dish at a time. Looking for outdoor dining? Want to cozy up beside crackling firepits? Don't worry, we have that too! 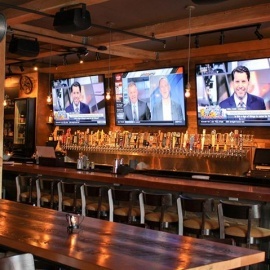 City Tap House® Boston also boasts 3 80" televisions by the bar - and 8 additional televisions spread throughout the space so you can watch whatever game you're looking for. Speaking of games, out space has an interesting history. In the 1890s, the grounds of City Tap House® Boston were home to the Congress Street Commons. For ten years or so, professional baseball called this area home to the Boston Beaneaters. In 1906, the building that is now at 374 Congress St, was built by the Boston Wharf company. By 1920 it had transformed again into a sheet metal warehouse and supplier owned by Arthur C Harvey Co. Some odd years later, craft beer had arrived.